Job Hunters those who are eagerly waiting for CDS-II Jobs at UPSC they may utilize this brilliant opportunity offered by UPSC. 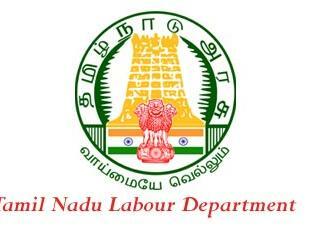 And most of them are unaware of details that are announced by Union Public Service Commission. 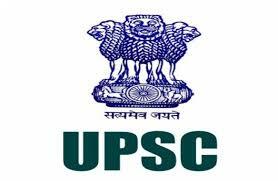 So to get data instantly check this article where the interested and willing candidates related to UPSC Recruitment 2018. UPSC Jobs As per the Recruitment Notification, there are 414 CDS-II Vacancies. Candidates who have completed Any Degree from a recognized Institute are Eligible to apply UPSC Recruitment 2018. The last date for submission of online applications is 03.09.2018. The UPSC is scheduled to conduct CDS-II written exam on Oct/Nov 2018. A huge number of candidates who are looking for the jobs applied for the UPSC CDS-II Recruitment. All the candidates who had applied are searching for the UPSC CDS-II admit card as it is the crucial document to carry for the exam and contains details regarding exam venue, roll number etc. Candidates who had applied can UPSC download CDS-II hall ticket from the direct link provided below. Candidates are required to download UPSC Hall ticket before 7 to 10 days Prior to Exam Date. Indian Military Academy, Dehradun – Degree of a recognised University or equivalent. Air Force Academy, Hyderabad – Degree of a recognised University (with Physics and Mathematics at 10+2 level) or Bachelor of Engineering. Officers’ Training Academy, Chennai SSC (Men) (NT) – Degree of a recognised University or equivalent. Officers Training Academy, Chennai SSC Women (NT) – Degree of a recognised University or equivalent. Graduates with first choice as Army/Navy/Air Force are to submit proof of graduation provisional certificates on the date of commencement of the SSB Interview at the SSB. Candidates who are studying in the final year/semester Degree course and have yet to pass the final year degree examination can also apply provided candidate should not have any present backlog upto the last semester / year for which results have been declared upto the time of submission of application and they will be required to submit proof of passing the degree examination. Indian Military Academy, Dehradun – Unmarried male candidates born not earlier than 2nd July, 1995 and not later than 1st July, 2000 only are eligible. Indian Naval Academy, Ezhimala – Unmarried male candidates born not earlier than 2 nd July, 1995 and not later than 1st July, 2000 only are eligible. Air Force Academy, Hyderabad – 20 to 24 years as on 1st July, 2019 i.e. born not earlier than 2nd July, 1995 and not later than 1st July, 1999 (Upper age limit for candidates holding valid and current Commercial Pilot Licence issued by DGCA (India) is relaxable upto 26 yrs. i.e. born not earlier than 2nd July, 1993 and not later than 1st July, 1999) only are eligible. Note: Candidate below 25 years of age must be unmarried. Marriage is not permitted during training. Married candidates above 25 years of age are eligible to apply but during training period they will neither be provided married accommodation nor can they live with family out of the premises. Officers Training Academy, Chennai SSC Women (NT) – (SSC Women Non-Technical Course) Unmarried women, issueless widows who have not remarried and issueless divorcees (in possession of divorce documents) who have not remarried are eligible. They should have been born not earlier than 2nd July, 1994 and not later than 1st July, 2000. Candidates (excepting Female/SC/ST candidates who are exempted from payment of fee) are required to pay a fee of Rs. 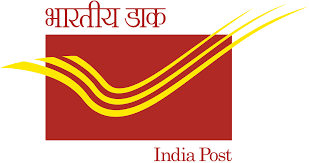 200/- (Rupees Two Hundred Only) either by depositing the money in any Branch of SBI by cash, or by using net banking facility of SBI, State Bank of Bikaner & Jaipur/State Bank of Hyderabad/State Bank of Mysore/State Bank of Patiala/State Bank of Travancore or by using Visa/Master Credit/Debit Card.